This prohibition of popular dissent proves beyond a shadow of doubt that Saudi Arabia is indeed the most tyrannical authoritarian regime in the Arab world. Yet, U.S. Administration officials have been strangely silent about supporting the people’s uprising there. Perhaps they think the protests won’t be large enough to warrant a response. Well, that certainly did stop their best propaganda push to stoke the puny protests in Iran, so the size or ferocity of unrest shouldn’t matter to their exploits of supposedly backing human freedom. And one would think that given what has happened to oil prices due to the unrest in Libya and Egypt, even a minor protest in the largest oil-producing dictatorship in the world would draw more public response from the White House. 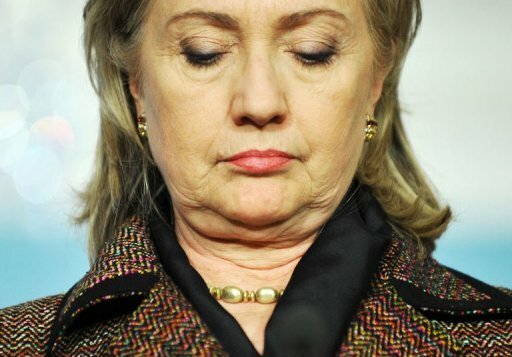 Be the first to comment on "Why is Hillary Not Defending the Rights of Saudis to Protest?"